Editor’s Note: Portions of this review not related to this release were previously published as our I Saw the Devil [UK Release] Blu-ray Review. All screen caps were taken from their respective releases. The lines of good and evil blur in this blood stained crime thriller from director Jee-won Kim (The Good, The Bad, The Weird; A Bittersweet Life). 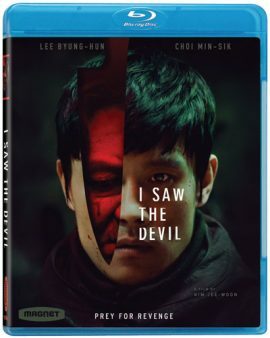 In I Saw the Devil, Ju-Yeon (San-ha Oh), the daughter of a retired police chief is brutally murdered by the serial killer Kyung-chul (Min-sik Choi), spurring her fiancé Soo-hyun (Byung-hun Lee), a secret agent, to seek revenge. But, he doesn’t just seek revenge, he indulges in a violent and bloody game of catch and release with Kyung-chul, each time making him live through he torturous pain he caused Ju-yeon to endure. It’s a voyage that puts him on the edge of evil, just like the man he’s been hunting. This is Asian cinema at its finest, with captivating performances from both leads, an interesting premise, and superb direction. Some of the more violent scenes may, obviously be a bit much for some people, but they are always served up with purpose. This Magnolia Home Entertainment release of I Saw the Devil looks identical to my eyes to the UK release of the film by Optimum Home Entertainment, which I reviewed here not too long ago. 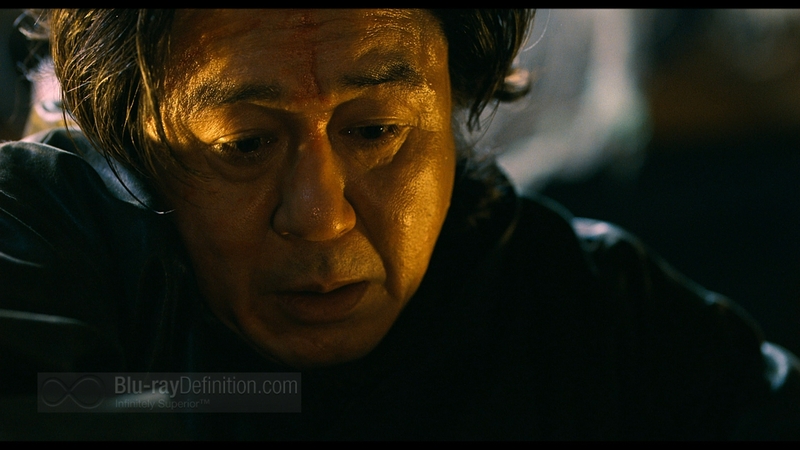 Like that release, this also comes with an AVC/MPEG-4 1080p encodement of the film that is sharp and clean with strong detail, deep, inky blacks and bright, rich color saturation. Shadow delineation is strong, but there are some issues with extra graininess verging on noise that pop up in darker scenes. I did also notice this time around a few more instances related to the source like the occasional speck, but hardly anything to worry about. Audio consists of the original language Korean DTS-HD Master Audio 5.1 and an English DTS-HD Master Audio 5.1 dub. I went with the original language track and it sounded just like the track from the Optimum release. It’s a bit thin with a slightly narrow dynamic range. Although the surround channels are often used for some nice ambient effects, the mix also tends to bog down in dryness, making it dull and inconsistent. There aren’t any strong supplements here with everything related to the film being offered up in standard definition, but the two featurettes are informative and less self-congratulatory than we are used to seeing. As I said before, I Saw the Devil is a must see for fans of Asian cinema. For me, it is more involving than the last film I saw from this director, The Good, The Bad, The Weird. The acting is astounding, the plot easy to follow, and the ending is one you won’t see coming. Highly recommended.